A marine binocular isn’t just a toy to play with while on the launch. Most of the boater use it for watching birds or sightseeing only, but marine binocular comes with different features which ease up the boating and cruising experience. There are different types of binocular that you can use instead of marine binoculars. But what you will miss in those is the marine features. If you are searching something professional then this is the best deal for you. This binocular is designed for marines who generally prefer long-distance voyages. The 7x magnification is not something special in this binocular. But the internal rangefinder and directional compass made it special than any other Porro prism binoculars. A built-in compass will ease the voyage in the right direction. It comes with the feature of individual focus that will help you to set the focus for both eyes individually to get the perfect vision. This feature also helps to get the perfect vision if anyone with less than perfect vision. In case it falls on the water, it won't sink in. It’s a floating binocular, so you can use it even without strap. It has excellent gripping with rubber coated design which also works as armor against the rocky condition. It gives a crystal-clear view from its bak4 prism glass. If you are worried about the low light view, then it won’t disappoint you presenting its clear vision in low light. The field view distance of BARSKA Binocular is 1000 yards. Porro prism binoculars tend to be heavy than roof prism binoculars. But the 38.8 ounces cannot beat the functionality of this binocular. If you wear eyeglass then 23mm eye relief is enough room to keep your eye through it wearing your glass. Hard to reach the customer service, if you have any complain about the product. It has another version which is made both for marine and military. But as you are searching for only marine binocular so this is would be better to buy. This is an autofocus binocular which is preferable to most of the marines who don’t want to play with manual focus. The focus distance starts from 60 feet which is good enough for object identification. Whether it’s extremely hot or cold outside the glass never get moisture and fogged for tow valve nitrogen system. It is designed with light transmission peak over 90 percent to get the best view in low light condition. If you are searching something durable then it comes with shockproof lenses in case you want to mess with it. The weight of this binocular is not heavy compared to other Porro prism binoculars. Whether you wear sunglass or not a 22mm long eye relief will get you the perfect vision through this Marine Bino. Excellent image quality with instant autofocus. Small neck strap sometimes annoys to put in and off of the neck. While looking at the longer distance most of the binoculars lost their image stabilization ability. 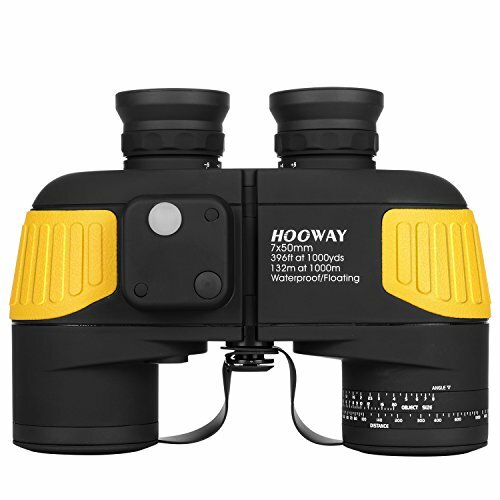 Hooway binocular offers image stabilization even after 7x zooming. If your hand is clumsy and unstable then the tripod adapted fitting will help you get the stability with tripod mounting. 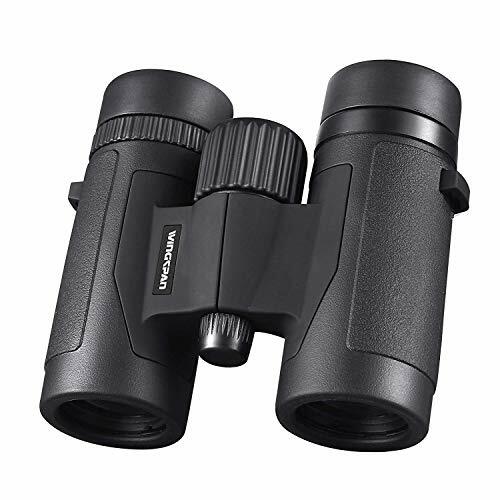 This binocular has also added features of compass and rangefinder, like BARSKA Binocular which will help you not only measuring distance but also to measure the size of objects. 22mm eye relief and rubber coated optics is a good option for protection if you love your eyes. Among all of these binoculars what we have got reviews about from different users, this is so far the best marine binocular by editor choice. It has Tripod mounting system. The lens cap is not satisfactory for the quality of binocular. We have got lots of criticism about roof prism binocular, but this binocular is beyond all the criticism with the quality of its roof prism glasses. 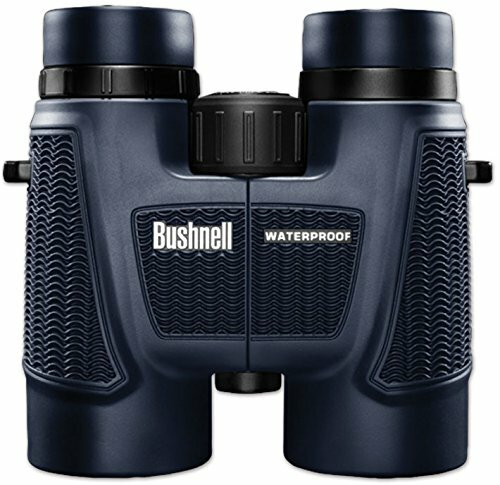 That’s why we dare to review this Bushnell H2O roof prism Binocular. It’s best for marines who want to see at a far distance than other marines who stuck to 7x zoom. The 10x magnification with 42mm objective diameter is a crazy feature for watching objects from far away. If you are clumsy holding binocular then this is not for you. The twist-up eyecup eliminates glare and sunlight in optics. The center focus knob will give you the traditional feel of focusing binocular. It has non-slippery rubber coated armor to protect the binocular in tough condition. Bak4 optics in roof prism. Image stabilization is not good after 8x zooming. 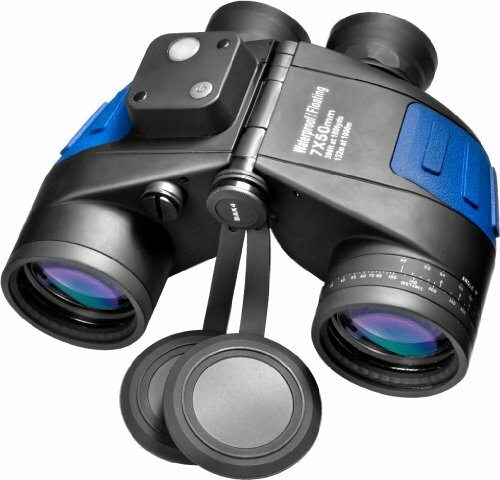 Another roof prism binocular that is popular among many marines is the Wingspan. Being affordable the design and quality of this binocular offers beyond what you expect. It’s an all-weather bird watching binocular for its enhanced clarity. For durability, waterproof, fog proof and drop proof this is the best at this price with quality. This lightweight binocular is easy to carry in all places. Being small and handy you can put it in your pocket. Rubber coated design gives firm gripping for hours of watching. To see objects at a great distance just use the 10x magnification with quality image stabilization. Lightweight and small size do not compromise with the quality. You will need some self-stability for 10x magnification. Choosing a marine binocular is not very difficult as most people suggest you should check this and that. It depends on your choice and use. If you are a nautical voyager, then only you have to check every specification that is essential for nautical voyages. For bird watching or sightseeing, a normal binocular will do the task easily. But, when you are heading to a long distance you should consider buying a good quality marine binocular. Here are some factors you should consider while buying a marine binocular. the distance you can easily capture in your eyes depends on the magnification. Magnification is the number that allows to zoom in to get closer vision of an object. For a clear view of an object, a 7x magnification binocular is enough to get the job done in the ocean. 7x magnification means you can magnify the object 7 times. Don’t be full of the higher number of magnification stated on the binoculars. If you magnify more than 8x, it won’t give you stable image. This is why professional marines prefer 7 to 8x magnification binocular. Though, you can choose higher magnification if the binocular has image stabilization system. Exit pupil is the length of the lenses. Most of the marine binocular’s exit pupil comes in 50 mm. If you divide the number with magnification number the result you get is the length of the exit pupil. The exit pupil of a 7x55 marine binocular is 7.14mm which is the best quality for low light. Longer exit pupil offers more clear image even in low light. Marine binoculars typically use on boat or kayak. So, rather going for cheap buy a marine binocular that is waterproof, fog proof and float in the water. A 20mm eye relief is enough to look into a binocular. If you wear glass then you should go for 22mm or 23mm. While choosing binocular make sure the eye relief has twist-up eyecup to eliminate side light. For durability make sure it has a rubber coating on it. A normal binocular doesn’t come in rubber coat design. The rubber coating ensures firm gripping and protects the binocular from any shock. While buying a binocular check the warranty offered by the company. While buying a marine binocular, thoroughly check whether it is made of Bak4 prism glass or not. Bak4 prism glass is made by the schott a german manufacturer company which is the high end prism than Bak7 another version of prism glass of schott. Another thing to consider while buying a marine binocular is to choose the porro prism binocular. 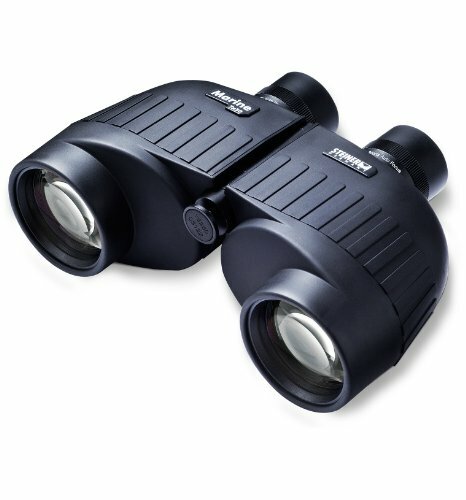 However Roof prism binoculars are light and compact but porro prism binoculars are more accurate to provide clear image. You should now be able to choose the best binocular for you. Consider all the factors before making the decision. “Wait” you don’t need to consider as we have reviewed the top list in the market. Any piece you choose from the list won’t disappoint you for the quality.